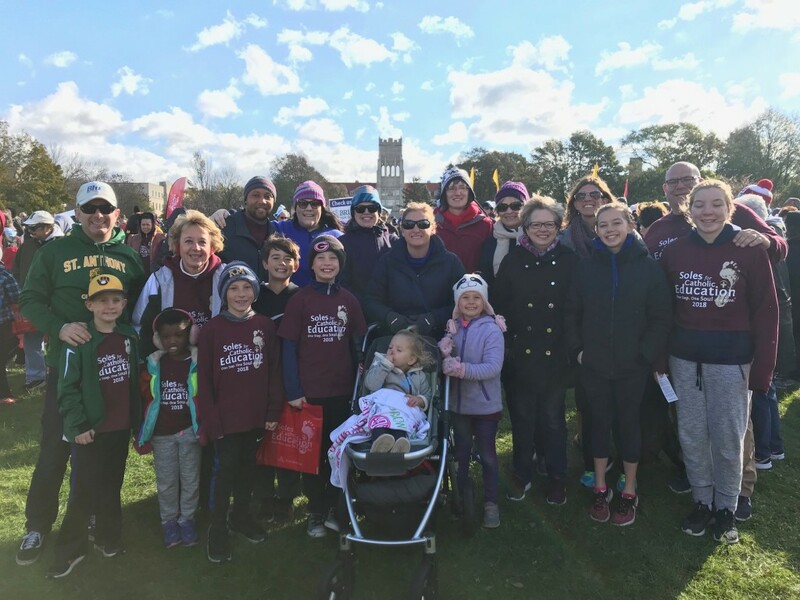 The 6th Annual Soles for Catholic Education Walk celebrates the success of Catholic schools in southeastern Wisconsin, while raising money to support tuition assistance. This year's event was held on Saturday, October 20, 2018. Thank you to those of you who donated and/or walked with us at the Soles For Education Walk this year. It was a chilly walk but we had lots of fun anyway! Thanks also to Mrs. Anderson, Mrs. Guthrie, Mrs. Zanotelli, Mrs. Ziegler, and Mrs. L'Empereur for joining us!! 100% of ALL money donated stays here at St. Anthony to be used for tuition assistance. St. Anthony has been able to raise close to $15,000 in financial assistance for our families. This is directly due to the generosity of many parents and friends of St. Anthony School! Kids' activities provided by the Milwaukee Admirals, Milwaukee Wave, Pius XI High School, and the local Fire Department! Have your face painted or a button made with your name written in Chinese by the high school students at Pius XI. "Stuff the Bus" with gently-used shoes for St. Vincent de Paul. Music by "Hot off the Grill"
Come join the fun! Email Mrs. Knippel at [email protected] with questions.